Two best teams fight for minor league supremacy. 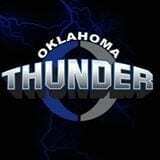 No matter what the weather report will be in Tulsa on September 3rd, the Gridiron Developmental Football League will forecast “Thunder-Storms”. The final two undefeated teams the Oklahoma Thunder and the Nashville Storm will be on stage to see who is the best team in 2016. The clash is a year in the making. Both teams were picked to meet in New Orleans for the championship. The Thunder fell to the Crescent City Kings in the semi-final with Nashville defeating the Kings for their sixth national championship. This season, Marvel City was favored to upend the Storm but fell to the Georgia Crush in the quarterfinals. Both teams ran through the regular season without much resistance. The Thunder led the league in offense scoring at a 43.8 a game. 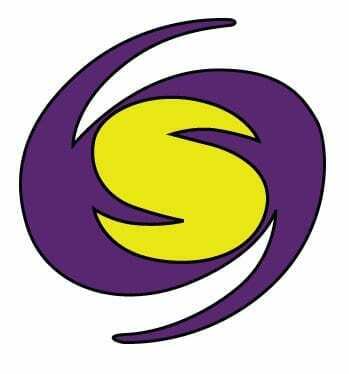 The Storm was the second highest scoring team at 34.5 points per game. On defense, Nashville recorded five regular season shutouts and gave up a total of 22 points. Oklahoma has been stingy as well on the defensive side of the ball. Their 67 points against have come mostly late in the game when the outcome is not in question. Both teams have superstars at the skill positions. Oklahoma’s massive offensive line has opened holes for running back Kenny Sessions and protected quarterback Brandon Noohi. Noohi has enjoyed throwing the ball to Prentiss Elliott (Oklahoma State University) and Richard Sheppard (Louisiana State University). Thunder head coach Jeff Bigger’s team is primed and ready for the clash. He realizes how huge the stage is. The Storm boasts the GDFL’s top running back in Keon Bohannon (1646 yards). Bohannon along with Anthony Martin have made a formidable one-two punch. Opponents haven’t been able to key on the run because quarterbacks George Murray (University of Cincinnati), Jason Hankins and Torrian Hall have a plethora of receivers to throw to. Chris Dansby leads the team with nine touchdowns. Minor League Hall of Famers Mario Merriwether and Jeremie “Bird” Whittaker have both suffered through injuries this season. Their absence has opened opportunities up for veteran Stevie Hendricks and rookies Rayvion Wade and Arcavius McMurray. This will be the first time the two storied franchises will meet. Batten down the hatches, because the forecast for this game will be interesting.